Is the Panasonic FZ1000 good for Landscape Photography? Panasonic FZ1000 has a score of 58 for Landscape Photography which makes it an AVERAGE candidate for this type of photography. If Landscape Photography is important for you, we recommend you to check the Alternative cameras at the bottom of this page. A correct exposure of a landscape shot is very important. Even though modern digital cameras features advanced algorithms to calculate the right exposure, they still may fail some difficult conditions. Manual exposure mode in these conditions helps a lot in order to achieve correct exposure. With the manual focus mode, you can make fine adjustments to have the perfect focus. Even though there are very good examples of landscapes photos taken with tele lenses, most of the landscape photos are taken with wide angle lenses. 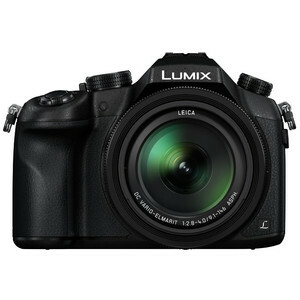 Panasonic FZ1000's 20.0MP sensor is perfect for landscape photography. It will capture a lot of fine details and let you print them larger. Panasonic FZ1000's 1 sensor size doesn't provide image quality of larger sensors but it is still much better then compacts with typical small sensors.